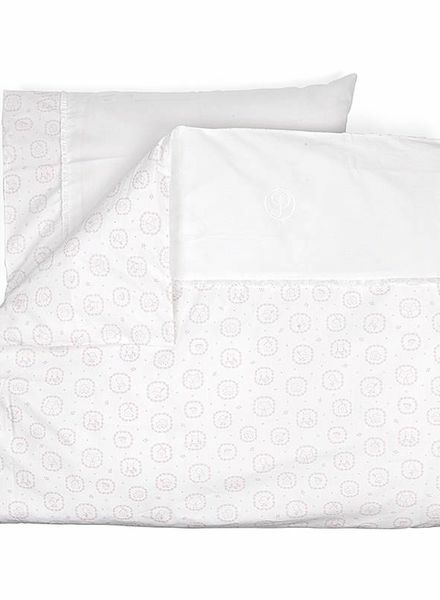 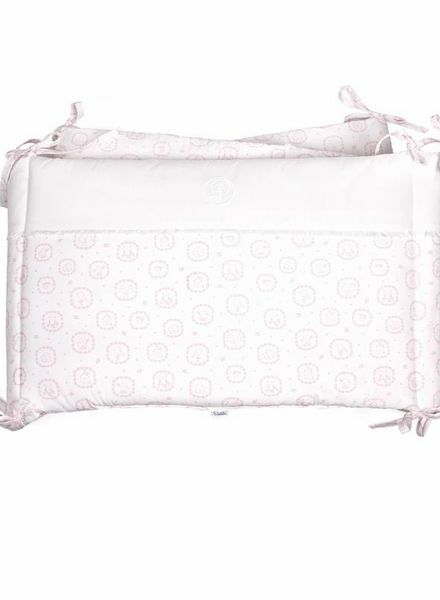 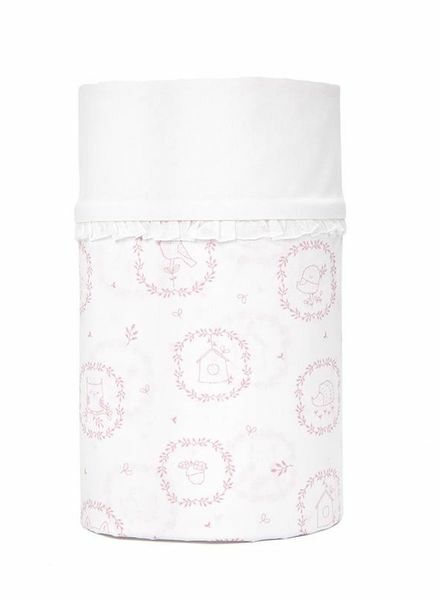 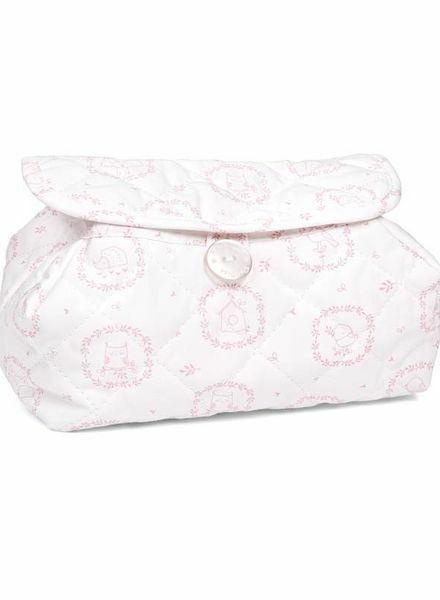 This white with soft pink printed Cot Bumper ensures that your child does not bump his or her head while sleeping. 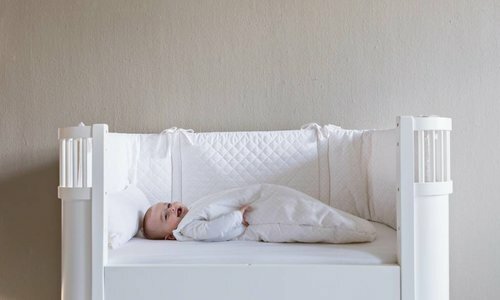 It also prevents the arms from sticking through the bars of the bed. 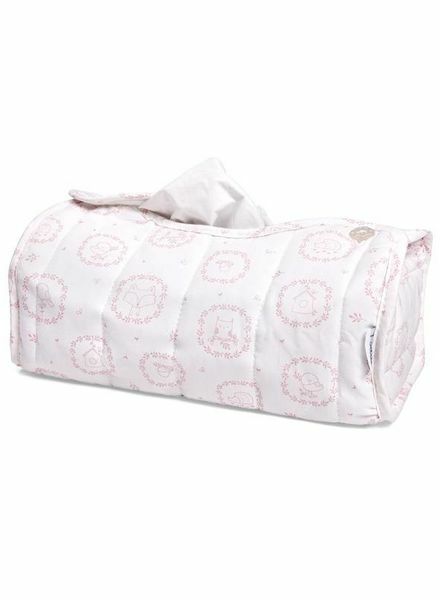 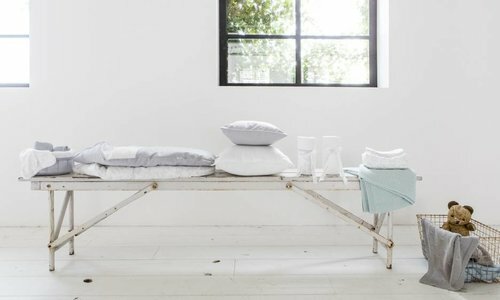 This decoration pillow is made of soft cotton with a light gray print and has a size of 34x34cm, including filling. 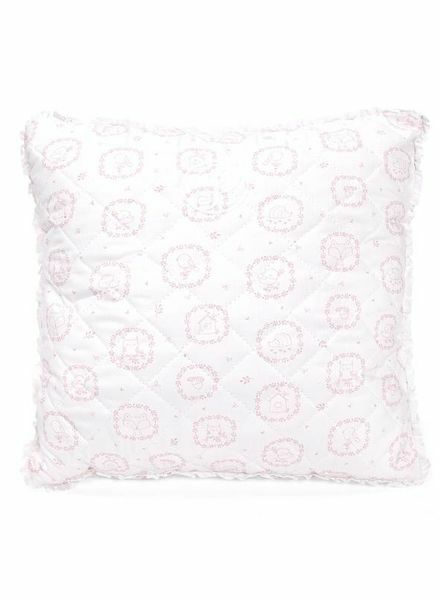 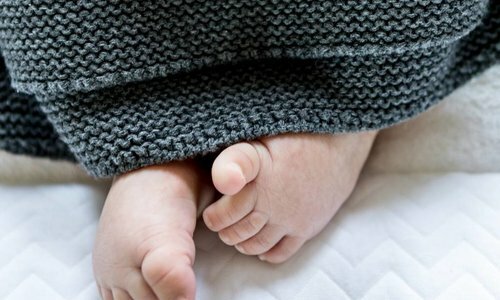 This decoration pillow is a nice addition to the linen of your baby bed. 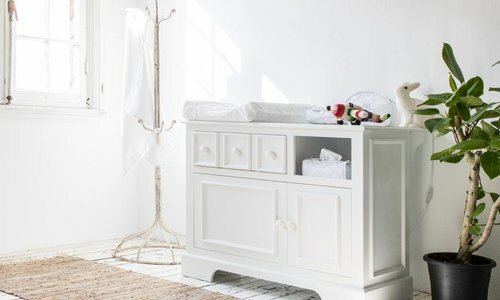 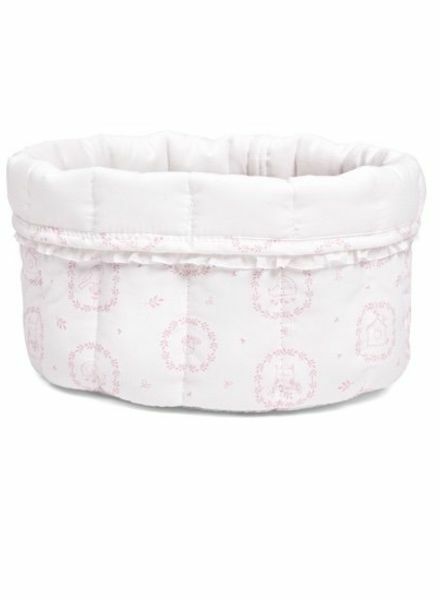 With this care basket in printed cotton, the dresser remains nicely tidy and organized. 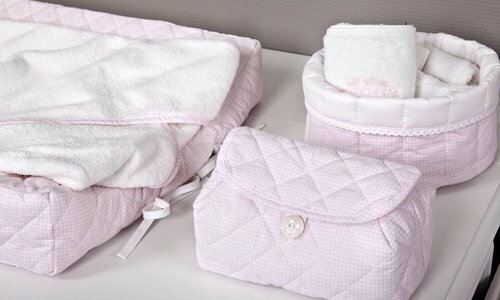 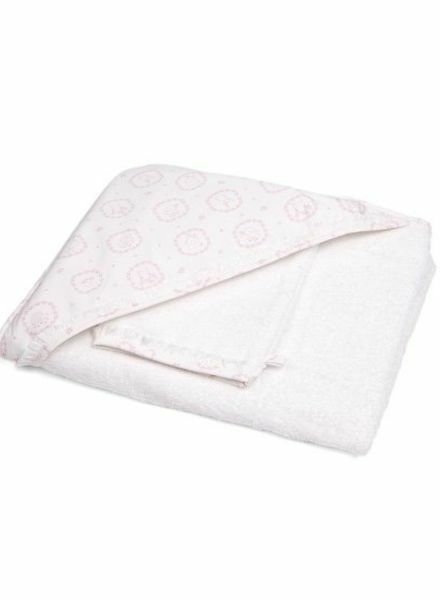 This white sheet with a sweet soft pink print of 100% fine cotton can be used for the cradle but is also ideal for the pram. 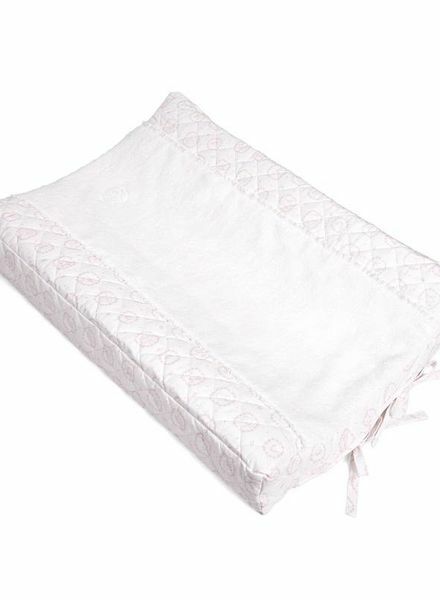 This white sheet with a sweet soft pink print of 100% fine woven cotton can be used for in the baby bed. 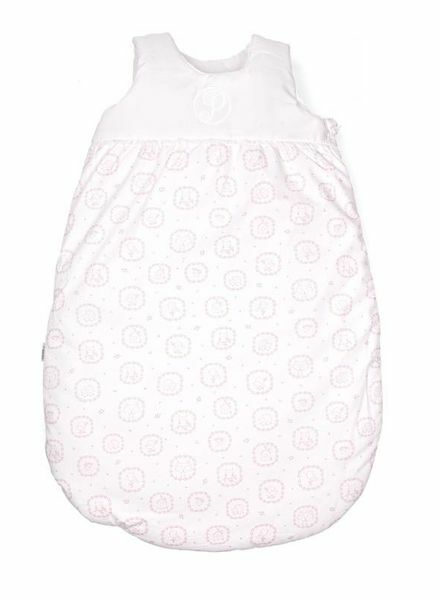 This stylish bath cape from the Little Forest Pink collection is made of a nice thick quality terry cloth, which is soft for your baby and absorbs the water well.